Employer's note: We work from the office but if you need to work remote every now and then you are free to do so. Building unique software so that the government is able to digitize all its internal and external processes. That's what we do at Zaaksysteem. Think of the processing of subsidy applications or permits. Every request is registered in our system and processed step by step. This way, the government has a grip on its information management in no-time and you are helped quickly and effectively. As a result, more and more organizations are working with our beautifully designed application. And, because we develop with public money, we believe that transparency is important; therefore, our software is Open Source and can be used by everyone. In addition to continuous development, together with our team of more than 25 professionals, we ensure successful implementations. Besides that, we advise government organizations on effective case-oriented working. In other words: the philosophy behind this digital working method. It's no coincidence that we're growing exponentially. This is a new challenge for which we would also like to use your knowledge and ambitions. 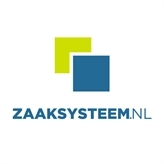 Want to get notified about new jobs at Zaaksysteem.nl ?